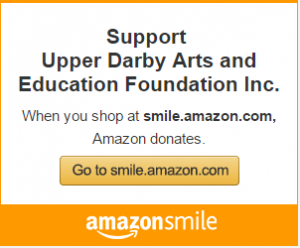 Founded in 1998, the Upper Darby Arts & Education Foundation is a nonprofit 501(c)(3) corporation formed to improve the quality of educational and cultural programs in the Upper Darby School District. The Foundation has already distributed over $2,000,000 in support through over 900 grants. Operated by an independent Board of Directors, the Foundation does not depend on taxpayers for its funding and operates separately from the school district. UDAEF endeavors to provide funding for programs and projects not funded by the school district budget, including after-school clubs and organizations and community offerings outside the school day educational enrichment programs.The Foundation provides a means for those who support our schools to contribute directly to the educational programs offered to our students. All funds raised by the Foundation support enhanced educational programs and are not used to offset taxes. As school budgets tighten, new sources of income have become necessary to continue to provide important programs and services. Many communities across the nation have created educational foundations to support their public schools. The Upper Darby Arts & Education Foundation is one of the leading public school foundations in the state of Pennsylvania. It is the Foundation’s goal to have a positive impact on every child in our district through the programs we support. June 2016 – The Schoener MusicMan Camp welcomes Cello Fury and master trumpeter, Al Chez as guest artists for our 70+ campers! April 2016 – Primos Elementary Autistic Support Playground Unveiled! September 2015 – A $325,000 new sound system for the Upper Darby Performing Arts Center! The official registration and financial information of The Upper Darby Educational and Cultural Foundation, Inc. may be obtained from the Pennsylvania Department of State by calling toll free, within Pennsylvania, (800) 732-0999. Registration does not imply endorsement.